When it comes to houses for sale in the Strand, the Strand area is still considered to be the prime spot in the Helderberg Area. Property for sale in Strand is ideal for permanent home buyers, real estate investors and obviously for the Cape Town property and holiday home purchaser. Properties in the Strand have changed dramatically over the last decade with the growth of sectional title sector of the property in the Strand market. The years 2000 - 2010 saw a lot of new Strand apartments built in various complexes and beach front developments and gave a boost to the market for property in the Strand. The residential property market in Strand is still incredibly popular, despite the economic downturn of recent years. The Strand apartment and sectional title sector has also increased and historically the traditional free standing houses for sale in Strand was and still is very much in demand by Cape property buyers and investors. The “Strand” originated a few hundred years ago as a holiday and fishing resort and was founded in 1714. In 1970, during Apartheid, all non-whites were forcefully resettled when the town was classified as a white only resort. A notable community that was forced to leave at this time was the descendants of Cape Malay slaves who had escaped from Cape Town over 100 years earlier. They lost their homes but their mosque still stands today. The Strand is now regarded as part of the greater city of Cape Town itself, because the City of Cape Town took over Strand’s municipal powers. It is a 10 km away from the inland town of Somerset West, however recent expansion of both towns have resulted in it being built completely fixed to each other with shopping malls and residential complexes creating the connections. TheStrand forms part of Helderberg Basin, together with Somerset West and Gordon’s Bay. The Strand affords has great views of the Cape Peninsula and the fine beaches. Tourism is the main principal source of income, especially over the summer holiday when the beaches are packed every day, mainly with visitors from the inland and overseas. This has been the case since at least 1950. Even those days the town was popular with visitors from the North and was home to quite a few retired veterans from the Boer War. Strand also accommodates one of the largest dynamite factories in South Africa. These dynamite sites are owned by AECI group. Rumor has it that the area is going to be remade into a waterfront, but this has not yet been confirmed. The main beach in the Strand, Melkbaai Beach, is known to be one of the best and safest bathing areas in the country. Facilities nearby include Dune Park with a super tube and mini golf and Harmony Park which boasts a huge tidal pool. Water sports may be conducted from various points along the beachfront. Strand boasts also an Olympic sized covered centrally heated swimming pool which is open all year around. The coast between the Lourens River mouth and up Rooi Els is very popular with beach fishermen and rock anglers whilst organized and social diving activities beckons the more adventurous. For the sporting enthusiast, Strand offers a wide range of organized sports including a golf course capable of hosting international events, tennis courts, rugby fields, squash clubs, surfing, sailing, power boating, paddle skiing, board sailing and windsurfing. The Pipe is a part of the beach marked off for surfers and is known for its big surfable waves.Surfing is a popular water sport in Strand and along with the relaxed atmosphere forms an integral part of the beach culture of the town. Strand is a seaside resort town situated on the eastern edge of False Bay and at the foot of the Hottentots Holland Mountains. Strand’s main attraction is the beach, 5 km of white sandy beaches and very popular with holiday makers especially during the summer holidays. 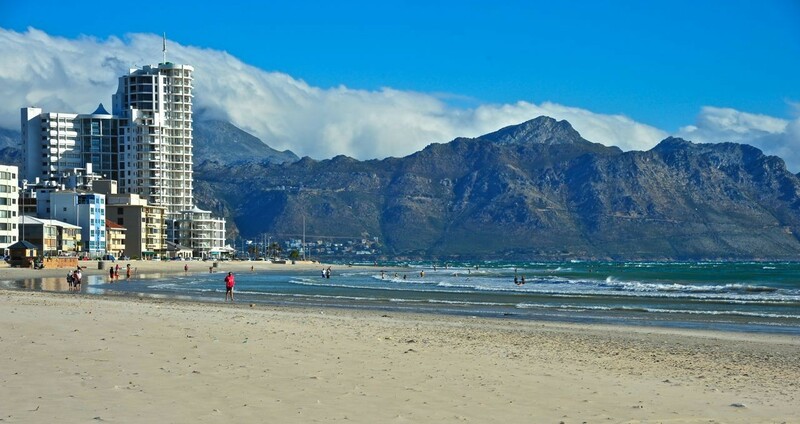 Strand is often referred to as The Strand or “Die Strand” in Afrikaans. The town has a vibrant business district, attracting customers from all over the town. The CBD offers banks, numerous little shopping malls, restaurants and supermarkets. The Friedman & Cohen is the largest single shop on the outskirts of the CBD and serves as the main attraction for residents to the area, as well as non-residents. The major shopping malls in the area include the Dorpsmeent Centre and the Somerset Mall shopping mall just outside Strand between Strand and Somerset West.